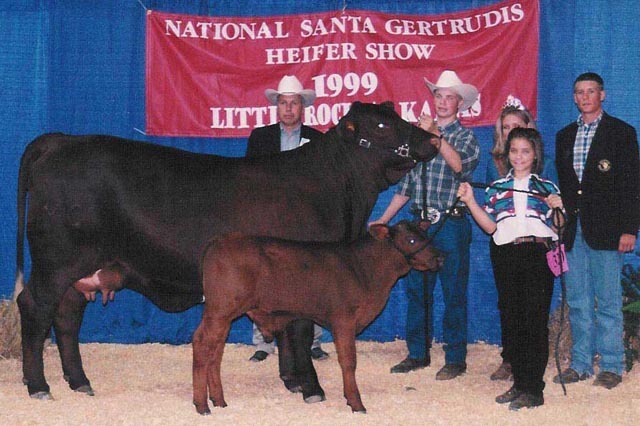 MC Veronica was the National Champion Female at the 1999 National Junior Heifer Show in Little Rock, Arkansas. MC Veronica was sired by MC Scarlet’s Rebel and out of one our of foundation females from Clarendon Plantation. MC Veronica is the dam of our successful herd sire MC Momentum and foundation female MC Bravo’s Baroness.